Before I tell you about ringworm remedies I know of, let’s see what a ringworm actually is. Ringworm is a fungal infection. Ringworm causes come from a group of organisms known as Dermatophytes. Ringworm is contagious and can be spread directly or indirectly. Directly, you can get infected by ringworm in skin-to-skin contact with other people or animals. Rarely it happens that people get it from the soil. Indirectly, you can get it by using combs, hair brushes, or hats that belong to people infected by it. Ringworm causes can be sometimes traced back to human-object contact. 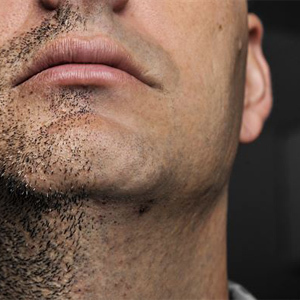 Ringworm symptoms can be visible on any part of the body. Ringworm can show up on the scalp, anywhere on the body, on feet, and nails. When it affects the scalp, it creates a little circle with an inner circle that usually leaves bold patches. If it affects the body, it shows similar symptom and you can see in the pictures of ringworm that follow, how it looks like and how it develops. Ringworm affecting feet is also known as “athlete’s foot”. 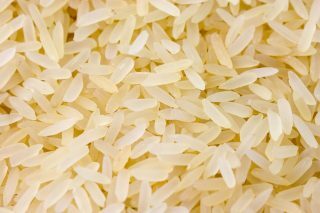 It itches and creates redness accompanied by a crusty or cracked skin. Nails can get affected by ringworm, too. They become yellow and thick and sometimes causes them to disintegrate. “Ringworm” is a misleading word. Of course, the first association are worms. Yuck! Other skin rashes and infections might be interpreted as ringworm, so let’s see what does ringworm look like. Ringworm starts off looking like a pimple. The definite ringworm symptom is itchiness and redness of the area. In time, it develops into red circles with raised edges. In the middle is a yellowish looking circle, dried out and itchy. If you have never had ringworm, consider yourself lucky. It is itchy, persistent and downright annoying. I know exactly where I got the infection. I worked at a daycare a couple of years ago. We had a boy who had it, but I must have been the only person in the world who didn’t have a clue what a ringworm is. 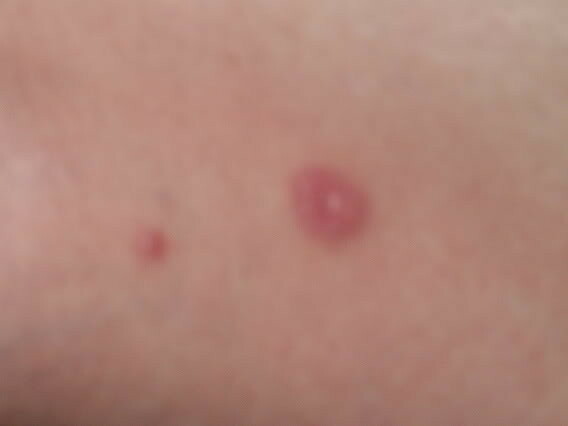 These are the ringworm pictures I took when my last “batch” of ringworm appeared. As I said, it reappears. This is how a ringworm looks like a day or two after it first appears. The first picture is of ringworm that appeared on my skin recently. It starts out looking like a pimple. It is red and has a little indentation. The first symptom I always feel is itching. It doesn’t stop until a few days later and what it does is, it makes you scratch. Scratching it and then touching other parts of the body only spreads it. The second picture shows you that same ringworm a week later. At this point, it has spread and enlarged. It looks like a circle with a little circle inside of it. The outside edges are red and raised, and the inside is white to yellowish and starts crusting after a day or two. When you touch it, it almost feels tender inside. Looking at the circle, you can see that it does look like a ring, although there is no worm involved. There are several ringworm home remedies that work and all of them revolve around “suffocating” the infection. 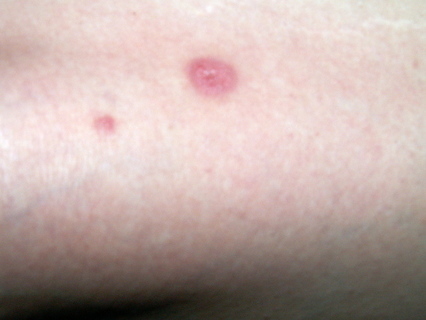 Ringworm shows up in soft or moist places of the body. It is a fungus, so it thrives in these conditions. ringworm, remedy (picture 1). You will know it is about to spread as it is accompanied by an incredible itch and somewhat burning sensation. 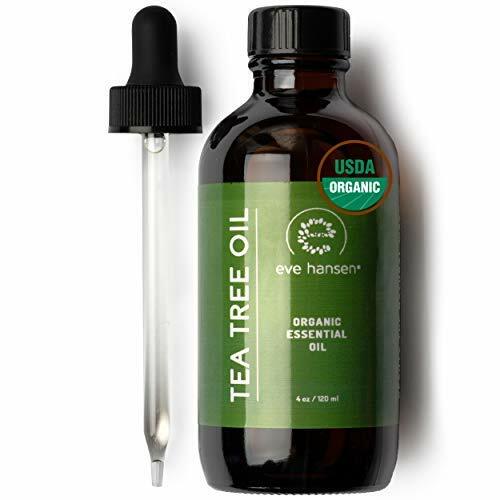 Using a Q-tip, apply tea tree oil on the affected area a few times a day. Usually, after a couple of days, the itching stops and the redness starts to disappear. Note! Vinegar can cause rashes and adverse reaction. To be totally safe, apply some on the inner part of your arm and let it stay overnight. Proceed if there is no adverse reaction. Ringworm vinegar treatment is similar to the tea tree oil one. Use apple cider vinegar and a q-tip. Apply the vinegar to the affected area a few times a day. Don’t wash it away, just let it dry and apply it to the last application. Many people claim to have successfully eliminated their ringworm infection using apple cider vinegar. It takes around 2-3 weeks until you will be able to completely get rid of the ringworm but if the infection keeps spreading, the best option is consulting a dermatologist. Be careful! Ringworm bleach remedy works like a charm, but bleach can cause rashes and adverse reaction. To be totally safe, apply some on the inner part of your arm and let it stay overnight. Proceed if there is no adverse reaction. Also: When using ringworm bleach remedy, you always want to dilute the bleach with water. 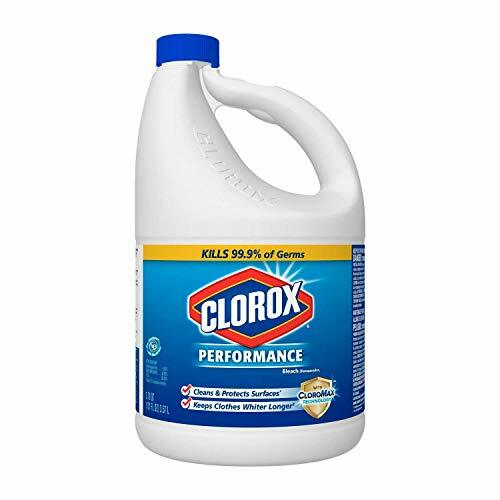 It is recommended that the ration is 1:6 or 1 part bleach and 6 parts water. Same thing as with vinegar: dip a Q-tip in this solution and apply a few times a day. This one was shared with me by a friend, fellow ringworm sufferer. 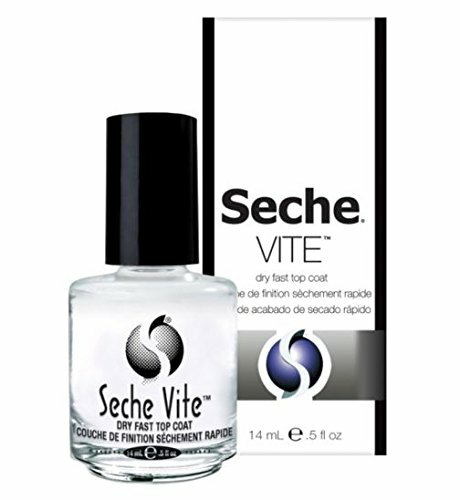 Using a clear nail polish, apply it on the affected area. Apply the next layer over the last. She says it clears up ringworm in a few days. Nail polish for ringworm infection is used from decades. The liquid substance has some abrasive chemicals in it. After the consecutive application, the area may become irritated. You can use clear nail polish for ringworm infection – this is how you can perform your treatment while at the office or somewhere in public. 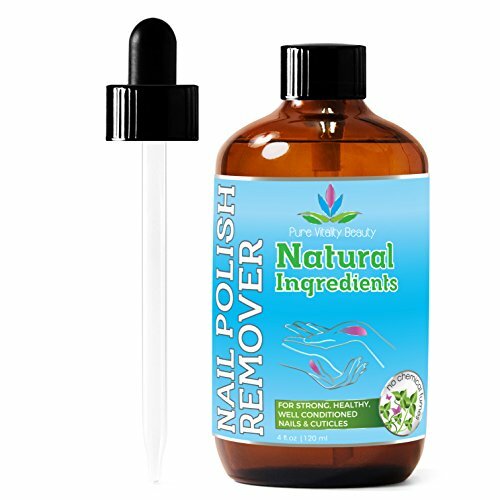 Using a nail polish remover for ringworm infection is not uncommon. For this method, you need to apply some clear nail polish remover to a clean cotton swab. Press it directly on one ringworm for a few seconds and repeat the same procedure on all areas affected. If you don’t see progress within a few days or if the ringworms aren’t gone within a week, you may need to set an appointment with a dermatologist, as nail polish remover for ringworm usually works very fast. If you notice these ringworm remedies don’t help or the infection is getting worse, go see a doctor! Please let me know if you find these ringworm remedies helpful.